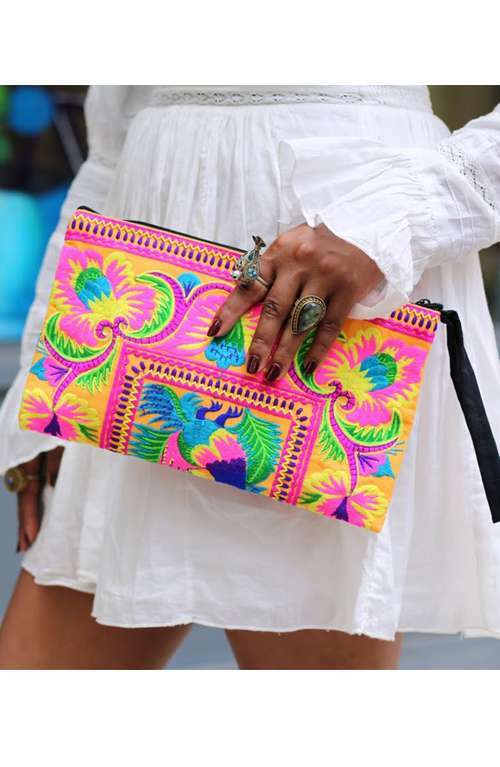 Bohemian clutch purse handmade in Thailand. 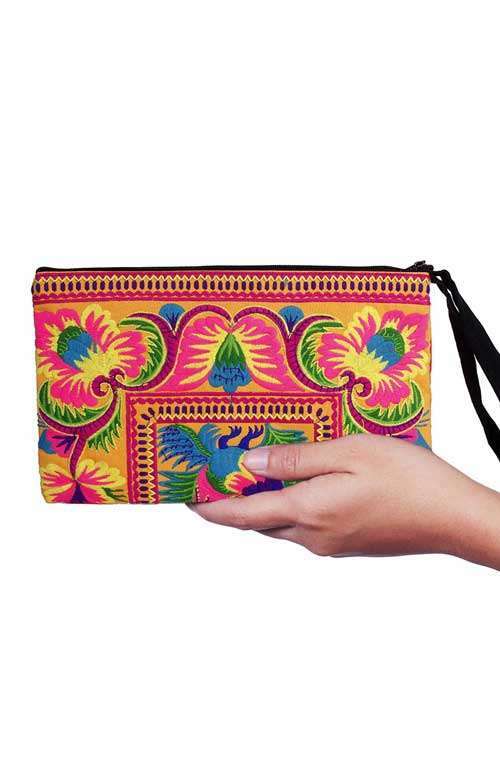 This embroidered clutch bag is the perfect embroidered purse for all festive occasions. 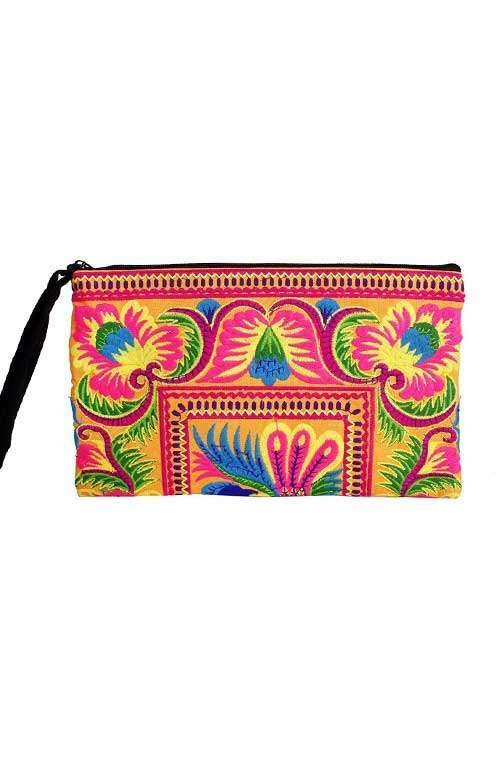 This gorgeous embroidered clutch purse is embroidered with a beautiful mustard butterfly pattern. 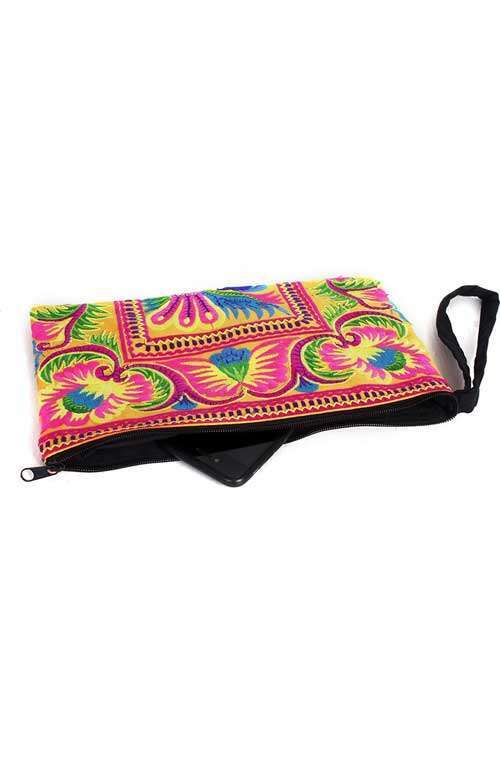 This embroidered purse has a zip top opening with black cotton lining and a zippered pocket. 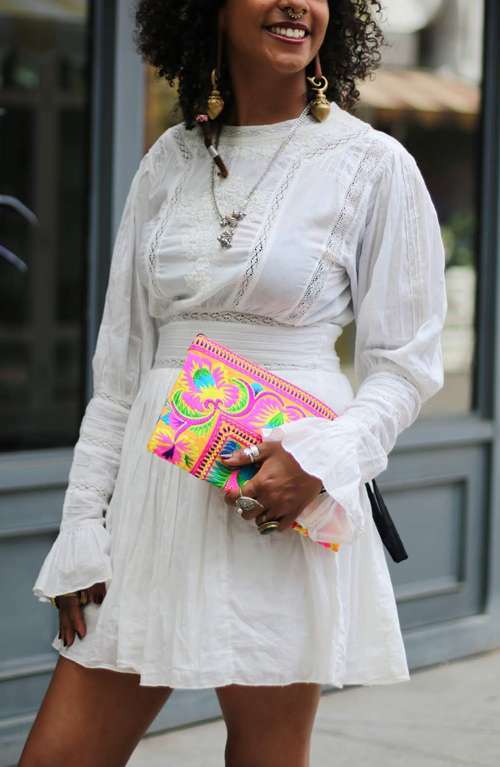 The clutch bag is the perfect accessory to brighten up any outfit.